The dollar store has many incredible selections. You can always find so many things to organize your home. If you have never been to the dollar store, you are missing out. decorate or useful tools on a day-to-day basis to help make your life easier. Only a $1 people, only a dollar. 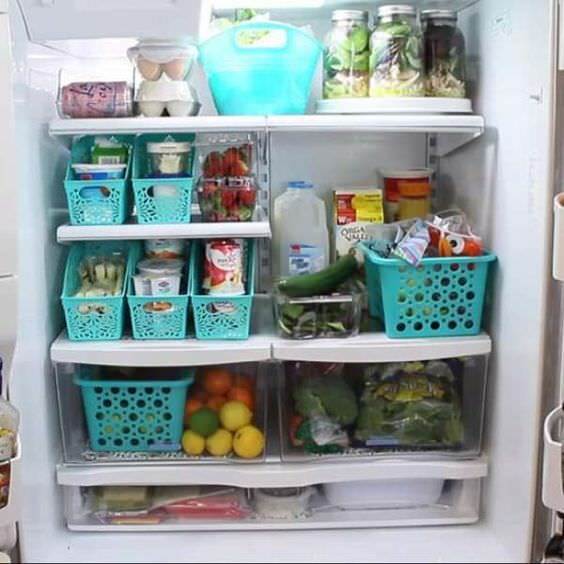 Organize your fridge with these cute baskets from the dollar store. Look at those mason jars? You may not get that same one at the dollar store, but you can get smaller jars to store other food items. These crates can easily store your children’s toys, books or other items. You don’t have to place them that high on the wall. You can always set them couple inches above the floor. 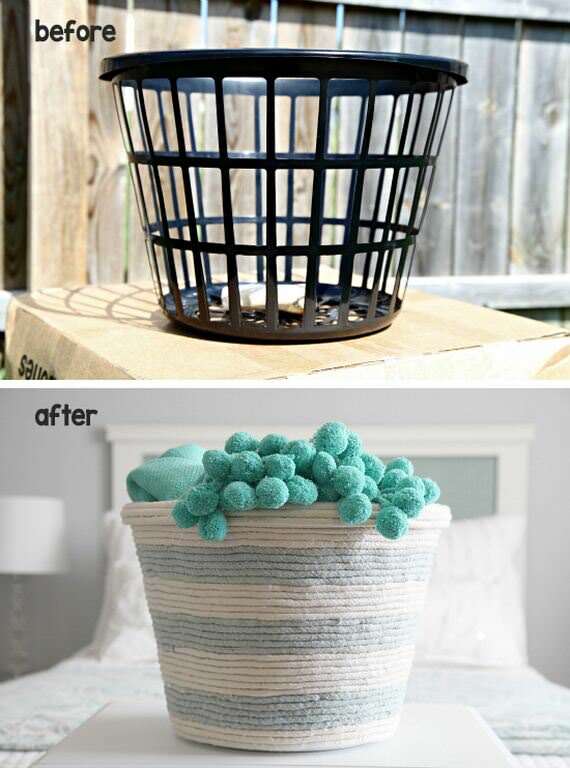 A basket to store laundry items or even just extra blankets or other linens. Though the whole project is not $1, the rest of the items to make this DIY project is inexpensive, so don’t worry about going over budget. Besides, it’s totally worth it. The tutorial for this project can be found at I Heart Organizing. Visit Kisses For Breakfast to read the full post.